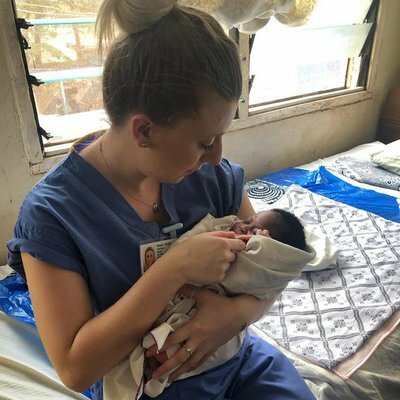 I’d wanted to undertake an elective abroad since the start of my midwifery degree. I love to travel, experience different cultures and challenge myself by working outside of my comfort zone. 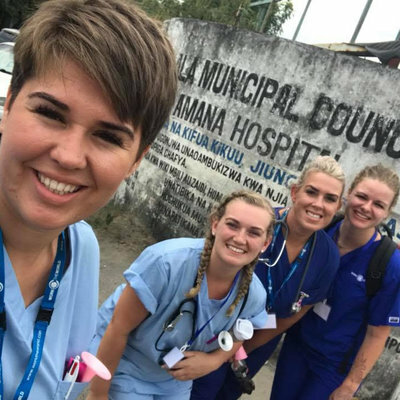 An overseas placement was the ideal opportunity to put into practice everything I had learnt over the last three years. I also felt it would give me the confidence I needed for my first job as a newly qualified midwife. I wanted to see things from a different perspective and immerse myself in new situations. The decision to travel to Ghana was easy. I had always wanted to visit, and Work The World had established programmes there. I had also done some travelling in Africa 20 years prior to my Work the World placement, so wanted to return to the continent. After speaking to World the World’s UK team, I decided to choose a placement in a small district hospital. I hoped to see more normal pregnancies, labours and births, rather than the complications more common in larger regional hospitals. As things worked out, I started my elective with Work the World the day after I finished my course and received my results. The decision turned out to be the right one for me. 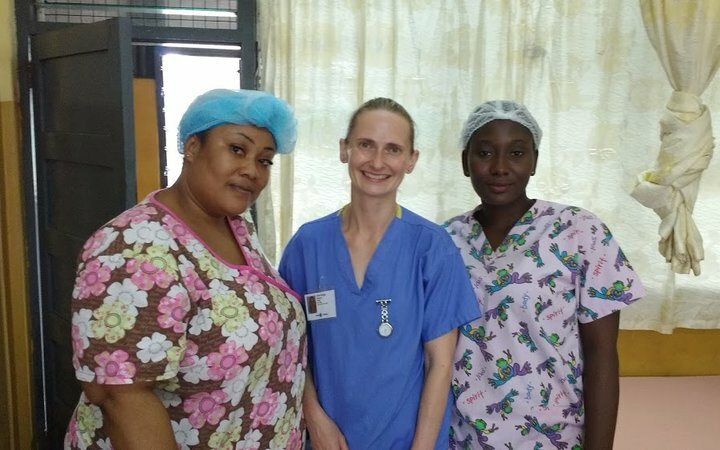 I was only in Ghana for two weeks, but I got to know a number of the local Ghanaian midwives on the labour ward, and in the antenatal and postnatal clinics. I gained insight into the midwives’ lives and how they practised. I felt I was part of the team. It made a huge difference to my experience. 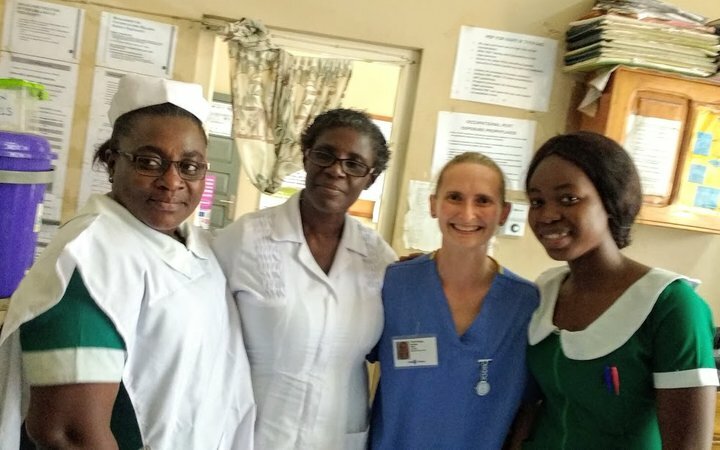 There were, of course, differences between midwifery practice in Ghana and the UK. 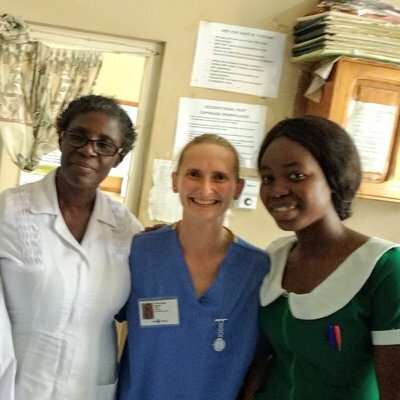 There were plenty of similarities too — the midwives passion for the women they care for, the importance of working as a team, and the concept of free maternity care for women. 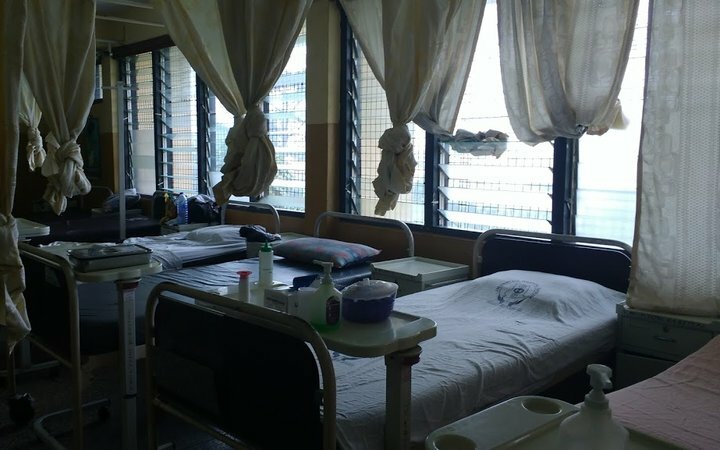 The most obvious difference was how the lack of resources affected clinical care. For example there was only one sonicaid in the whole of the maternity unit. Women also had to bring with them everything they needed for their stay (sheets, antiseptic, food and drink). And there was no pain relief offered in labour. There was also less of an emphasis on privacy and informed choice than we are used to in the UK. 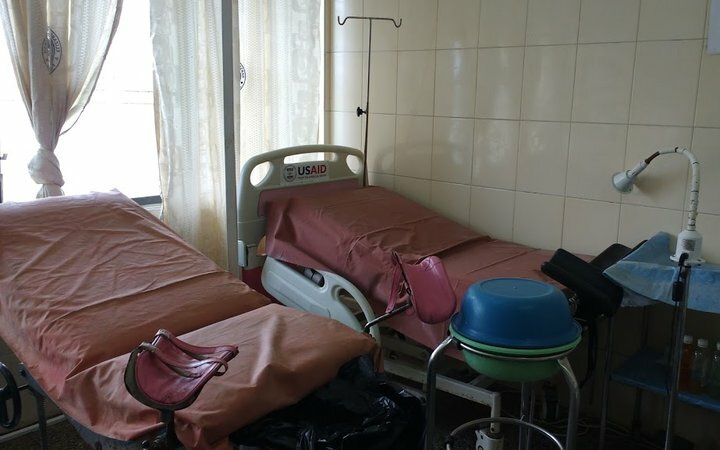 Partners didn’t accompany women in labour or birth, and monitoring of both women and their babies was limited. The experience will stay with me for the rest of my midwifery career. I would love to return when I have more experience. The social travel aspects of the trip were also great fun. We took trips to the market, beaches, or just sat round the pool at the house after placement. It was ideal being able to share my experiences each day with other students, and hear about theirs. We had a real mix of disciplines and countries of origin in the house. I only had one weekend free to travel, but made the most of it. We took a trip to Ko-Sa Beach Resort, Cape Coast Castle, went to a batik workshop, Kakum National Park. 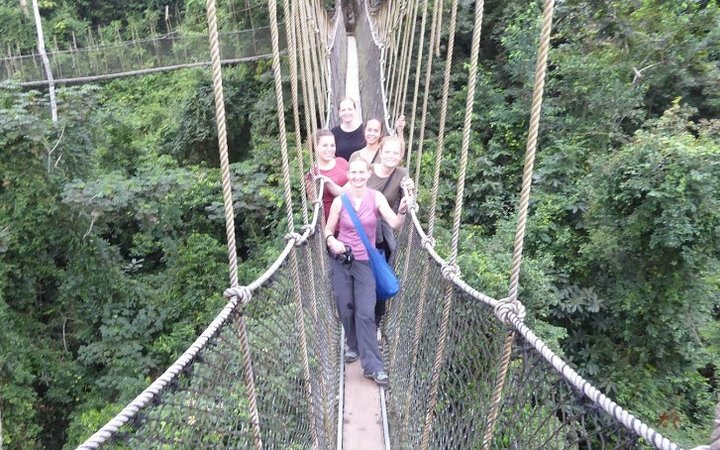 In the national park we did an overnight stay in a treehouse and an amazing treetop canopy walk. The support I got from Work the World was just right. I felt prepared, and had realistic expectations before I set off on my trip. I had all the support I needed whilst in Ghana too. 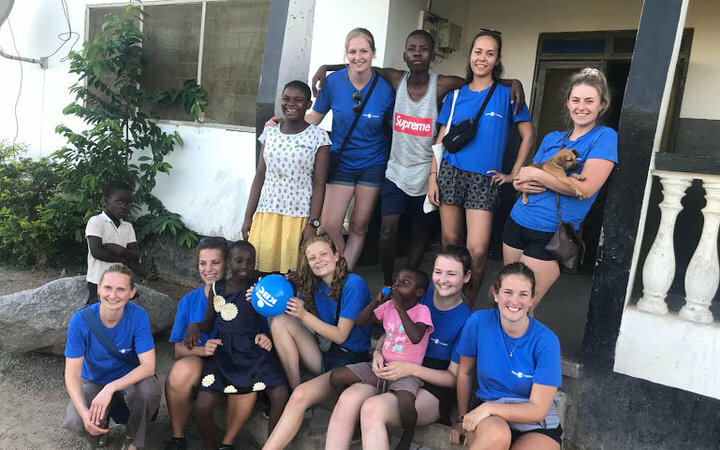 I was impressed with the Work the World house, the in-country induction, the friendly Ghanaian staff, and of course the weekly BBQ! 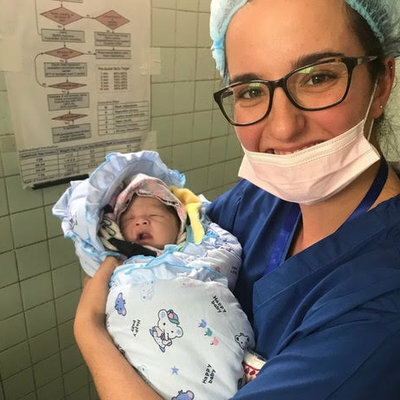 The highlight of my trip has to be that I facilitated a birth — my first as a qualified midwife! I will most definitely never forget it. For anyone considering an elective abroad, I would recommend the experience without hesitation. I urge you to make an effort to learn some of the local language, and to keep a non-judgemental view of the practices you observe.